Ian manages Creato's corporate office, located in San Diego. This follows a successful career in management that included long-term employment with Voluntary Hospitals of America, Kaiser Permanente, and McKesson. His last corporate role at McKesson was as Director of International Business Operations where he worked extensively in Europe, the Middle East and Australia. Ian was one of the original founders of Creato and opened its Phoenix Arizona office in 1998. In his current capacity Ian oversees Creato's large engagements and directs company resources to ensure the success of Creato clients. Over the years this has included assignments at Pfizer, United Healthcare, Harbor-UCLA Medical Center, Datamark, Blood Systems Laboratories, and Adventist Health System, among others. Ian has also pioneered the evolution and direction of the COMPASS® Quality Management System, the company's flagship product which coordinates and manages all improvement activity in an organization. Throughout his time at Creato, Ian has worked to raise the visibility of the organization on the national stage, and is recognized as an author and public speaker on issues related to performance improvement. He has served on the faculty of the American College of Healthcare Executives (ACHE) for over 16 years, and recently received their Exemplary Service Award for his years of voluntary service, the highest award for voluntary service that ACHE has ever conferred. 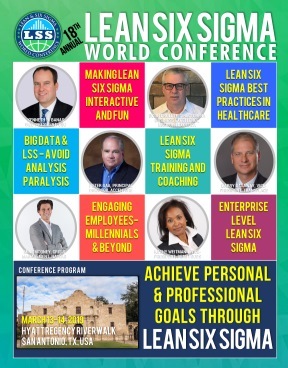 Ian currently conducts two-day programs on Lean and Six Sigma at regional seminars on behalf of ACHE all over the U.S. He has published multiple pieces for the Journal of Healthcare Management, Managed Healthcare Executives, Becker's Hospital Review, and many other professional journals. In his speaking and writing, Ian always takes time to recognize the work of Creato clients, assisting them to achieve national recognition for their work in performance improvement. Ian is board certified in healthcare management from the ACHE, and holds a Master's degree in healthcare management from the University of Michigan. He is also a certified Six Sigma black belt. In 2011, Ian was recognized by The San Diego Business Journal as one of the region's most accomplished "Health Care Champions."